The Analytical Lexicon of the Greek New Testament gives definitions and grammatical analysis of Greek word forms across New Testament manuscript traditions including: Nestle-Aland (NA), United Bible Society (UBS) and Majority Text. This lexicon is a great tool for Greek word studies, letting you look up not only the root form, but the inflected form as well. 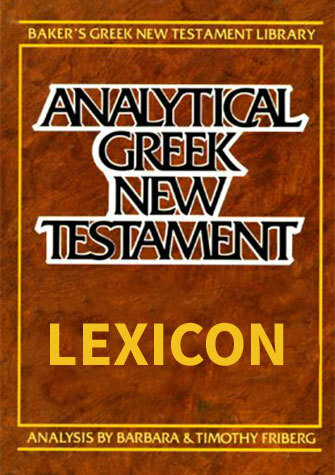 The Analytical Lexicon of the Greek New Testament is an included resource in the Analytical Greek New Testament, 5th Edition, with Morphology, Lexicon, and UBS-5 with Critical Apparatus, which includes a parsed Greek New Testament and this lexicon.